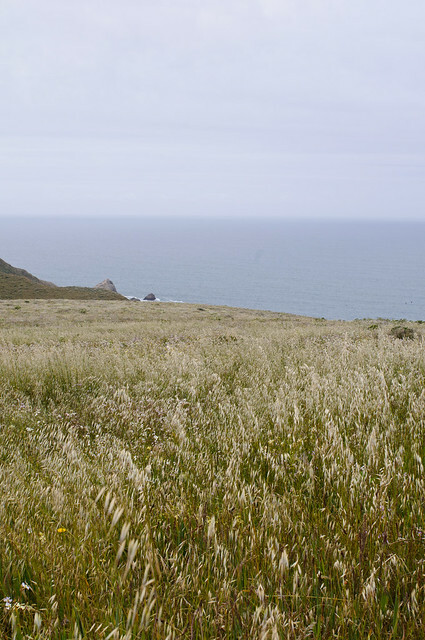 A few weeks ago we went hiking with a group of friends to Tomales Point in the Marin County, about 40 miles north of San Francisco. It was the first hiking trip for this year, and I was so happy to be finally able to pursue outdoor activities after several months of hibernation through not-too-cold but very wet California winter weather. I love going on a weekend trip to the Marin Headlands. Whenever we come to visit this part of our town, I am awe-struck at how much beauty can be present in one place and time. Any bubbles of worries and stress seem to evaporate from us when we breathe in the fresh air here. We always tell ourselves that this is one of the reasons we can't leave the Bay Area despite the high cost of living and being away from our families. 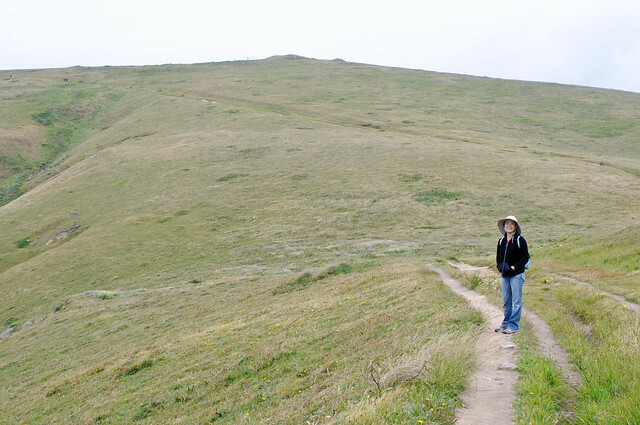 This was our first time on the Tomales Point trail. It's not fair to compare one trail to another because they are all natural wonders, but in my opinion the Tomales Point trail was one of the most beautiful trails I have been to thus far. 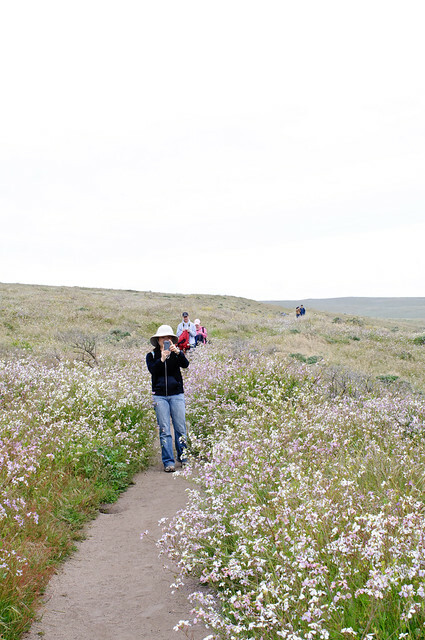 The trail gently rises and falls, passing through a vast field of wild flowers and grass against a backdrop of the Pacific Ocean. 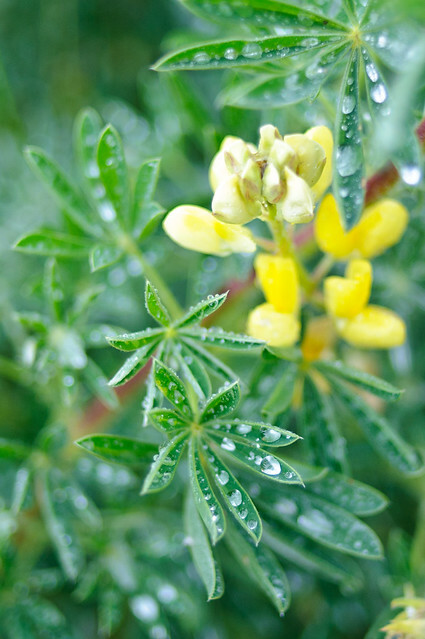 When we got there in the last week of May, the wild flowers were blooming up to our waist high. I felt so tempted to free-fall to my back onto these flowers. It would've been totally like a scene from a movie. About half way into the trail, we met a herd of elks that were freely roaming the field not too distant from the trail. They didn't seem to bother our presence at all. This reminded us they are the hosts and we are only visitors to this part of land. About three quarters into the trail, the horizon off the Pacific Ocean started getting dark, and gray clouds ascended first from the ocean and slowly towards us. What seemed to be a drizzle at first turned into a pouring rain. So we reluctantly decided to turn back. With no place to shelter under but a few a few groves of pine trees along the way, we got soaking wet by the time we came back to the trail head. It was getting cold, too. On the way back, we unanimously agreed to have hot noodle soup for dinner. So we headed to Saigon Pho in Albany. Nothing could have warmed us up better than a hot bowl of noodle soup. The first hiking trip for this year started out as rather memorable. Thankfully, none of our friends or we caught a cold from the trip. After that I felt very proud of myself for being so fit! I think I am ready for more eventful activities this summer. That place looks very beautiful. 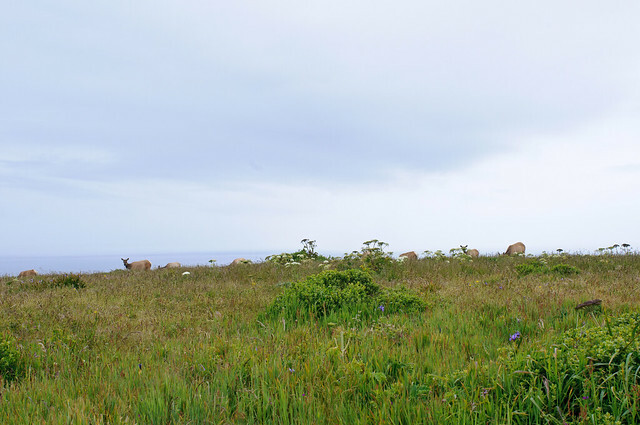 How relaxing it will be to go on a hiking trip there at Tomales Point. Making a new experiment, LG has, finally, released gucci replica a new phone, which lies somewhere between a Smartphone and a Tablet; a good option replica belts for the users who want the good features of both prada replica in one. With 5-inch screen, this new smartphone aka tablet may louis vuitton outlet compete Samsung Galaxy Note, the first ever smartphone a bit smaller than tablets.